Welcome to the May–June 2016 issue of Innovations in Clinical Neuroscience. I am pleased to start the issue with the first of a series of articles we’ll be publishing that will explore the emerging field of digital medicine and how innovative technology can improve patient outcomes in the field of neuroscience. I am honored to coauthor the series with Drs. Arshya Vahabzadeh and Ned Sahin from BrainPower, a company that develops brain science-driven software for wearables (e.g., Google Glass™) into neuro-assistive devices for the educational challenges of autism. In our first installment, titled “Digital Suicide Prevention: Can Technology Become a Game-changer?” we discuss how the rapid advancements in data science, such as machine learning, can provide us with useful tools for suicide prevention, for example via smartphone applications and wearable sensor-driven systems. We’ll also discuss future opportunities for digital suicide prevention, including our novel Sensor-driven Mental State Assessment System. We hope you enjoy the series and that it inspires you to explore and develop your own innovative ideas for better patient outcomes in neuroscience. Next, Mulcahy et al share and discuss the results of their study “Physician Prescribing Practices of Vitamin D in a Psychiatric Hospital” in which the authors investigated the vitamin D prescribing habits of physicians among psychiatric inpatients at an urban hospital. Because many of the hypothesized benefits of vitamin D supplementation include improvements in mental health, the authors also explored the available evidence regarding vitamin D deficiency and outcomes of its supplementation in mental health patients. 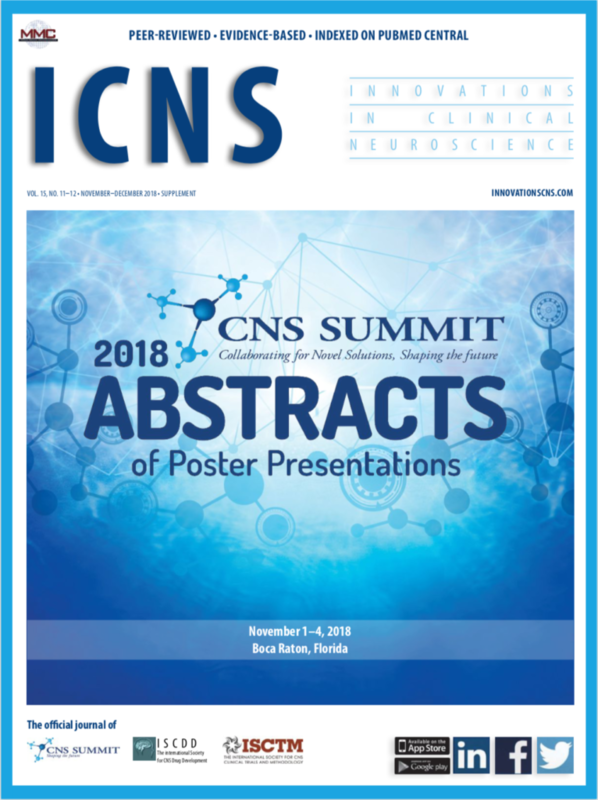 After this, Nakamura et al present their study, “Prolactin Levels After Switching to Paliperidone Palmitate in Patients with Schizophrenia.” Here the authors investigated the tolerability and efficacy of paliperidone palmitate (PP) and its effect on the levels of prolactin in patients with schizophrenia who were switched from paliperidone-extended release (PAL) or risperidone long-acting injectable (RLAI). The authors found that switching from PAL or RLAI to PP did not result in any observed time-sequential changes in psychotic symptoms in the study subjects, and prolactin levels decreased in one group of male subjects who were switched from RLAI. The authors discuss how these results may impact clinical practice. Next, Aboraya et al review their clinician-oriented diagnostic tool in the article “The Standard for Clinicians’ Interview in Psychiatry (SCIP): A Clinician-administered Tool with Categorical, Dimensional, and Numeric Output—Conceptual Development, Design, and Description of the SCIP.” Here the authors describe and discuss the key components of the SCIP tool, as well as its reliability and validity and how this tool is applicable specifically in clinical practice, as opposed to other assessment tools that were designed for use in clinical trials. Following this, Jawaid et al present their case report, “Remission of Psychosis in Treatment-resistant Schizophrenia Following a Seizure: A Case Report.” The authors report a case of treatment-resistant schizophrenia in a 22-year-old woman who failed multiple trials of antipsychotics, including clozapine; however, immediately following a clozapine-induced seizure, the patient showed rapid improvement in positive and negative symptoms while continuing clozapine treatment. The authors review and discuss the effects seizures can have on psychotic symptoms and the potential application of electroconvulsive therapy in treatment-resistant schizophrenia. We wrap up the issue with our bi-monthly installment of Risk Management. Here, McNary discusses the importance of developing an exit strategy in preparation for an unexpected closure of your practice (i.e., in the event of your sudden death or a debilitating illness). She describes various important considerations for psychiatrists, such as how appropriate parties would be able to access patient scheduling and records and who would take over your patients’ care. We hope you enjoy the issue. As always, we welcome your feedback and submissions. 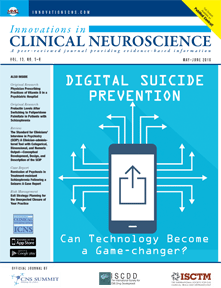 « Digital Suicide Prevention: Can Technology Become a Game-changer?